Daily Dose: (Sandy) Alex G, "Fay"
No word on whether this new, melancholy pop track is part of a bigger project. We loved Rocket, the album (Sandy) Alex G released last year. As Ben Salmon wrote of the prolific singer-songwriter, ”[(Sandy) Alex G] wants to try it all. 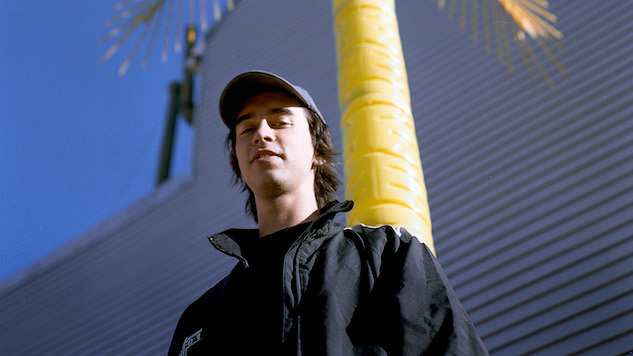 He’s as interested in misshaping a great song as he is perfecting it.” In 2017, (Sandy) Alex G became known for his collaborations with Frank Ocean and for experimenting with a new, twangy country influence. We can’t be sure, but today’s new track “Fay” may be an indication of where he’s headed next. No word yet on whether “Fay” is a standalone track, or part of something bigger (we’re hoping for the latter). Read our 2017 interview with Giannascoli right here.